Drain problems may be unforeseen that is why sewer drain cleaning is vital in your home’s plumbing system. Since sewer drains are not visible, most people don’t know about it. Sewer lines help transport water wastes from our home to the underground sewer mains. Plumbing issues may arise when sewer lines have some type of clogs since this can also have a potential health concern. It can be expensive and frustrating for homeowners especially when they don’t know anything about their plumbing system. How Often Should I Have A Sewer Drain Cleaning? 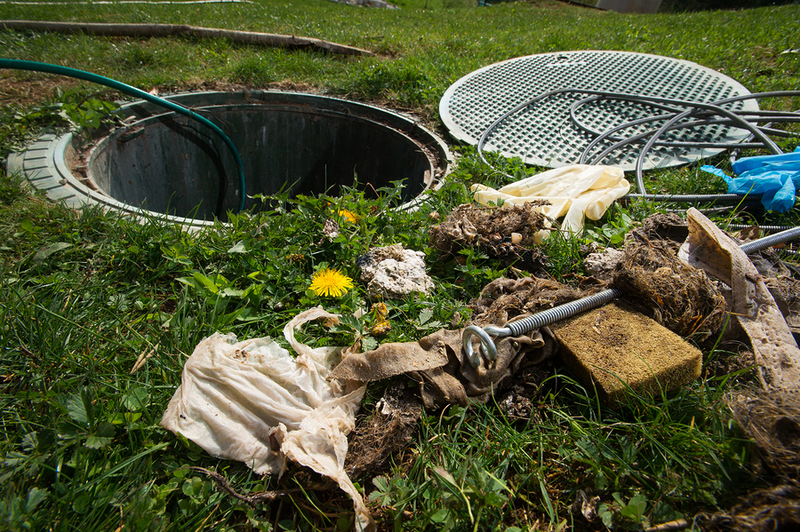 A good preventive measure to have a sewer cleaning service is between 18-22 months. If you are experiencing plumbing issues more often than these months, a professional plumber may use a video camera to investigate your underground pipes. Your plumber will insert the video camera to the pipes to determine what causes the clogs in your plumbing system. The video inspection will enable him to recommend what repairs to do to correct your sewer problem. However, not all pipes can be inspected through this method. Usually, only pipes of 4” to 8” diameters could accommodate this method. The camera is equipped with a small transmitter that could help detect the inspector where the camera is from above the ground. However, this is not too reliable because a lot of underground wiring and other pipes may interfere with the signal. The video feed is also not too clear as the pipes would usually be filled with murky liquid. If you want to know what causes your sewer problems, we have sewer services to solve your needs. We ensure a long-lasting remedy for your system! What Are The Common Signs That You Need A Sewer Draining Service? Slow Draining – If you have a toilet that is draining slowly and have dealt with little sink clogs, this may be a sign that your drain line is clogged. This may be caused by improper usage of your drain. You might be throwing in things that are not meant to be inside the drainage, or it’s just buildup of grease and gunk over the years. Downward Curving Pipe – this could potentially gather dirt in the part where the pipe is deformed, leading to a blocked pipe. Smelly Drain – there are times when your drain would reek of a ‘sewery’ smell. A clog in your pipe may be causing this. Multiple Clogs At The Same Time – a major junction clog may be causing this. Water Backing Up – this is a major flag that would tell you that your main line is clogged. Bubbling Sound of Pipes – this usually indicates that water flow is significantly blocked by something in the pipe. If you notice any of the signs stated above, it might be time to look for a professional to do the work for you. Get a free estimate with us and we will clear your pipes professionally! After the diagnosis of the problem, it is time to solve it. What Can Be Done If The Problem Was Clogging? Rodding is a solution that you may look at. If your drain line moves slowly, this might be an option for you. This process usually involves the use of a rodding machine, a couple of cables, and a cutting head. The cutting head should be matched to your drain system, and the particular blockage because the cutting heads are designed for specific purposes as well. The rodding machine, attached to the cutting head via the cables, produces a lot of torque to pierce through the debris in your drain line. Jetting can also be an option as well if your drain line is heavily clogged by grease or sludge. This is done by inserting a hose into the line and then releasing high-pressure water into the pipe to open up the line. Employing the use of chemicals could also solve your problem. Usually, it is not recommended to use acidic or basic chemicals, as these may cause more problems to your plumbing system, which would usually lead to a bigger job, for example, pipe replacement. There are some chemicals used by professionals, depending on the type of blockage. If the problem was more severe, such as pipe damage, replacement may be needed. This could be done using excavation or trenchless sewer replacement. Trenchless sewer replacement is a method wherein the spot of excavation is strategic. Instead of digging up the whole pipe, only a small part is excavated. These methods may also be done if something is really stuck in the line, such as the camera of the inspector, or only a small part of the pipe needs to be repaired. Contact our professionals today and we guarantee to solve your sewer problems now! Roots may also obstruct the pipe unexpectedly. Rodding can solve this, as the said process would break the roots. However, the roots have a high probability of growing back. You may need to dig the plant in the long run if a more lasting solution is required. Chemicals could also be poured to stop the plant from growing. These roots could also destroy pipes in some instances. We have professionals to check your pipes by inserting a small video camera to your pipe. Get a free estimate with us now! How Do You Maintain Pipes? To maintain pipes, it is recommended to do cleaning every 18-22 months, as stated above. Also, maintaining drains would require you to do your part as well. These lines are only engineered to accept human waste and tissue papers. Other commonly flushed items that may cause problems are dental flosses, sanitary napkins, wipes, diapers, and dead animals (such as goldfish). A proper sewer cleaning can be a great help in the flow of your plumbing system at home. This may prevent clogged sinks and other plumbing issues that may arise. If you want to have the best sewer drain cleaning services, call Marquez Plumbing today at 831-630-3000 now! We guarantee to solve your sewer drains problem today!